Here's how to add some space around an image within your PowerMail. Start by adding a photo. If you want to learn how to wrap text around a photo, read this support article: Wrap Text Around a Photo in PowerMail. 1. 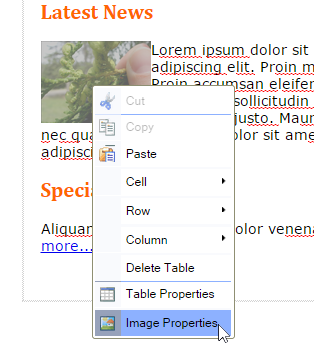 Edit the image in the HTML Editor of the PowerMail. Select the HTML tab in the PowerMail. 2. Go to the image properties to make the adjustments. Right click on the image and select 'Image Properties'. You can also select the image and click on the Image icon in the toolbar. 3. Change the HSpace and VSpace. 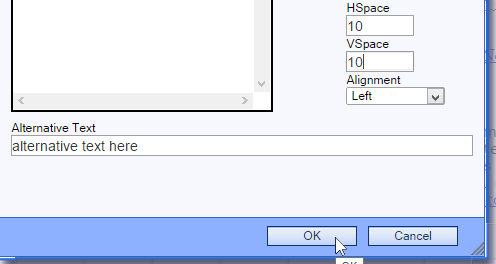 Change the HSpace (horizontal space) and the VSpace (vertical space). Generally 10px is a good amount to give your images. Then click 'OK'. 4. See the results and save it. Check to make sure it looks the way you want it to look, and then save your work.